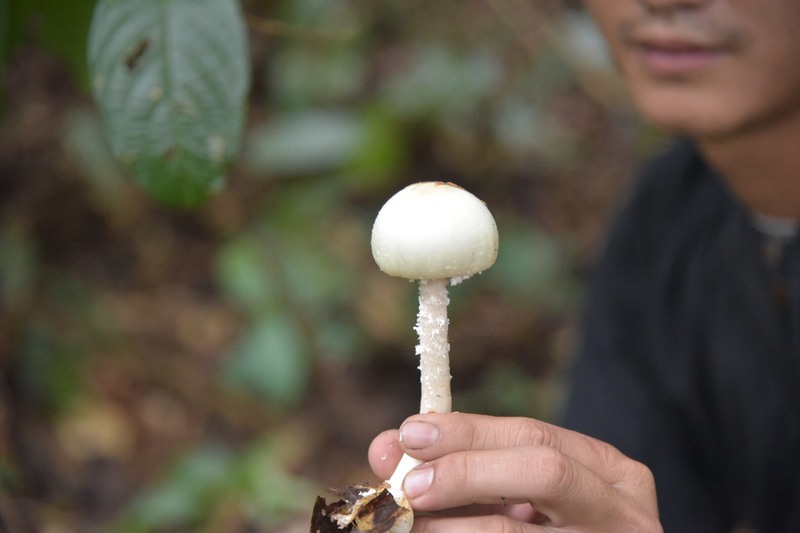 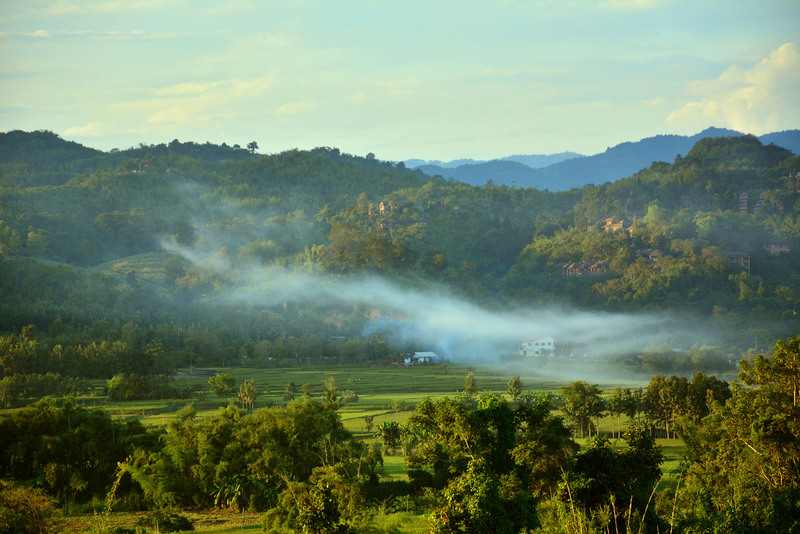 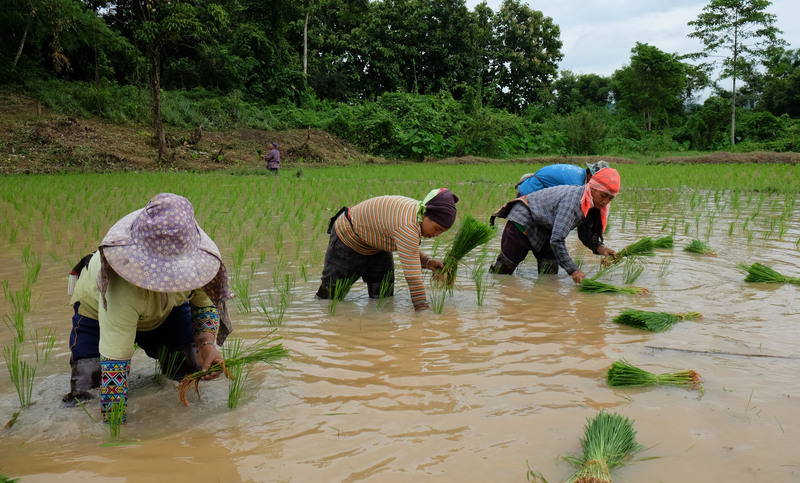 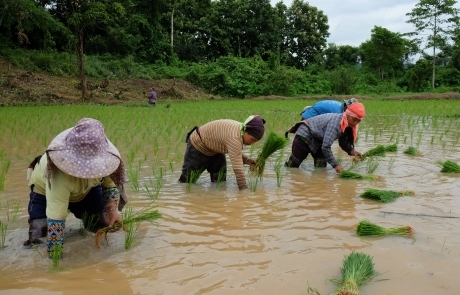 Our Farm lies in the foothills of Doi Mae Salong, in the range that separates Thailand from Myanmar. 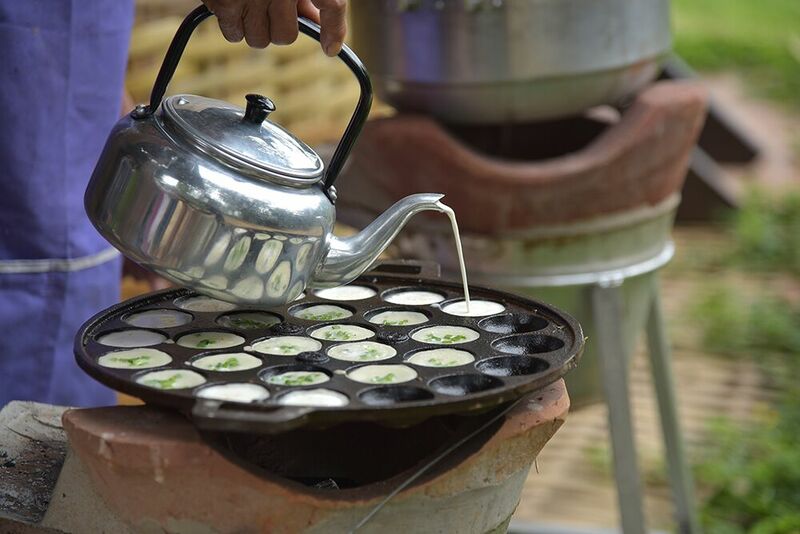 The mountain is famous for its tea plantations and cultural diversity. 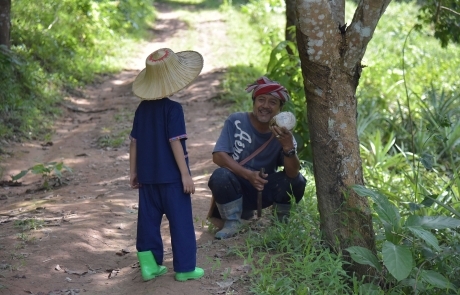 During the day, head farmer Lung Adul will bring you around the estate. 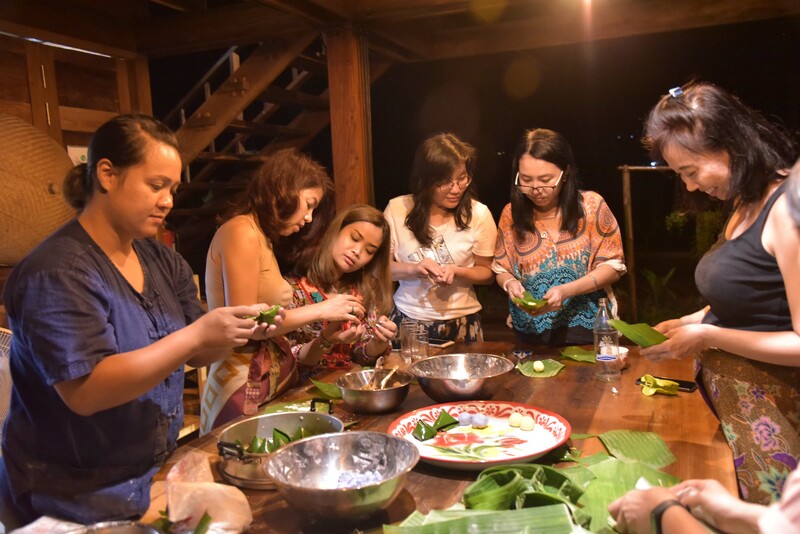 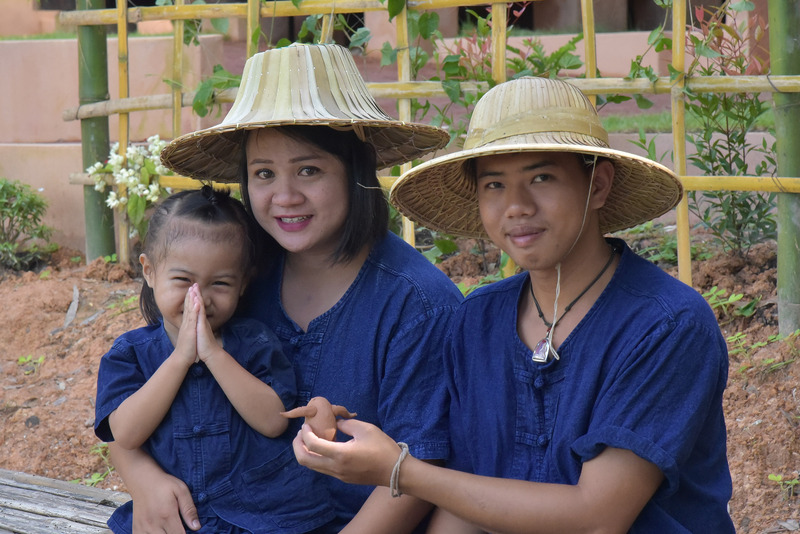 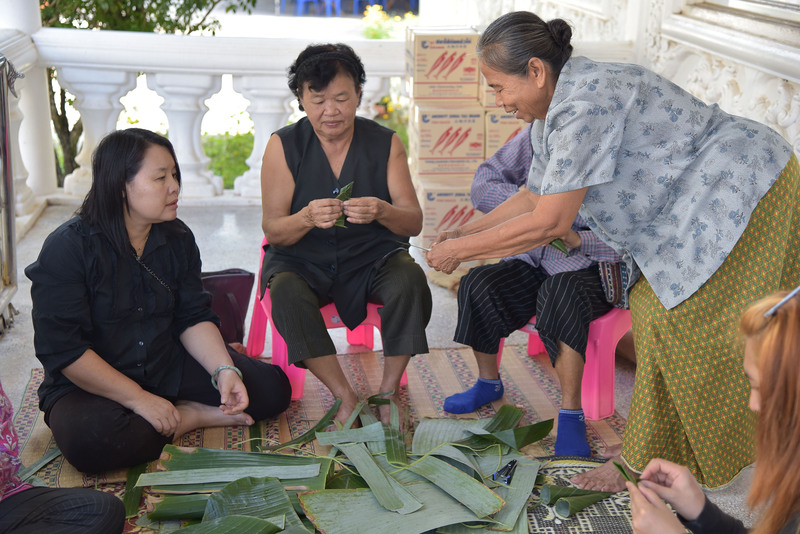 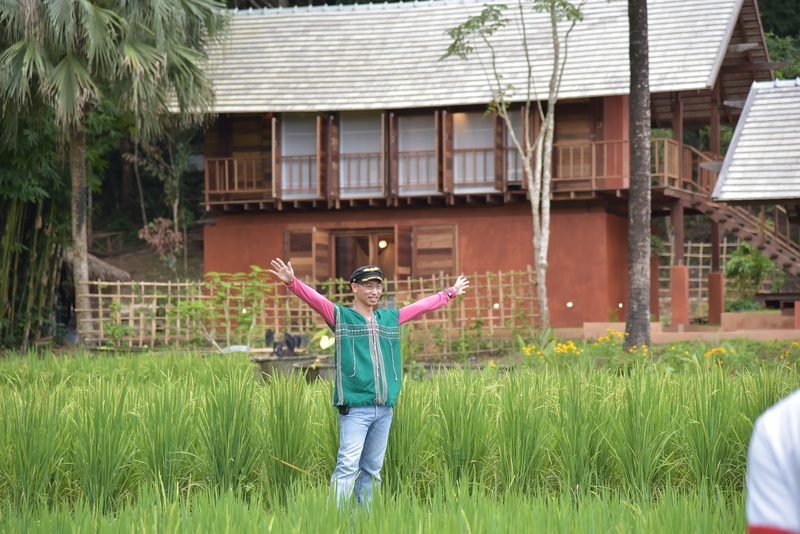 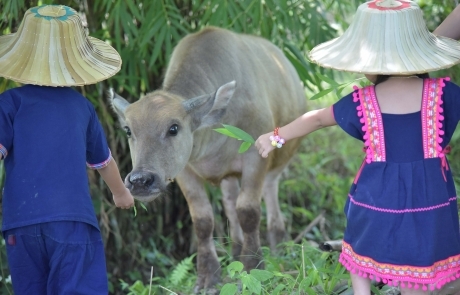 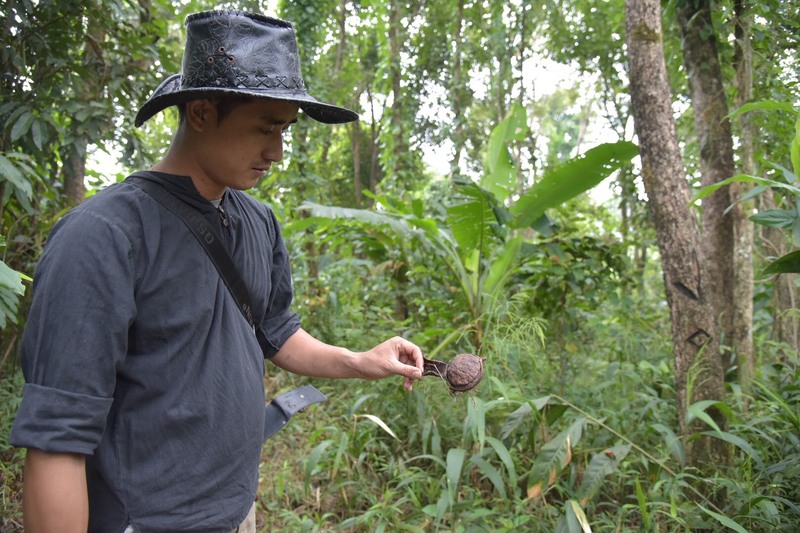 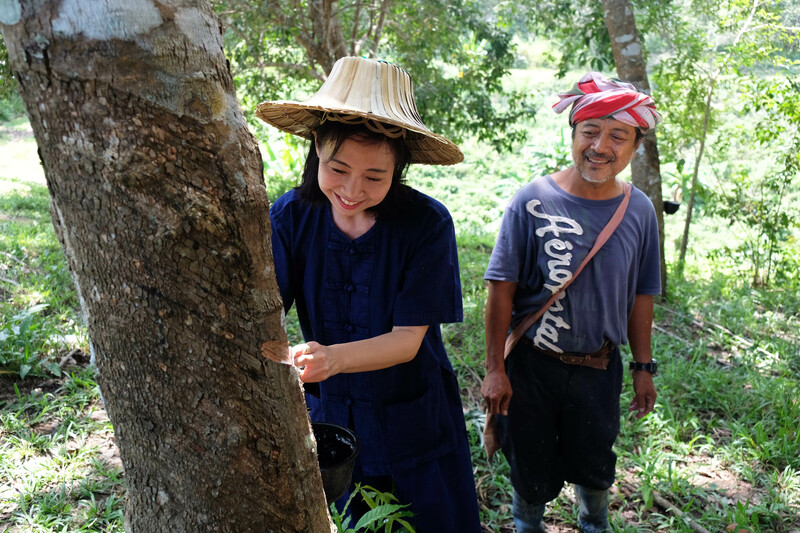 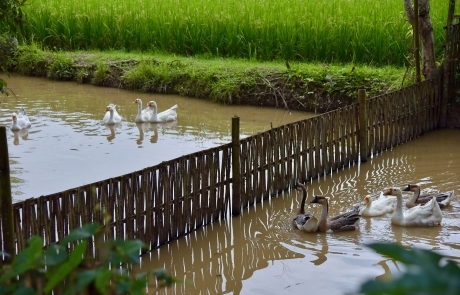 Meet our buffaloes and learn how to grow rice or tap rubber trees. 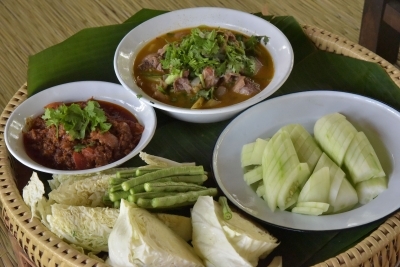 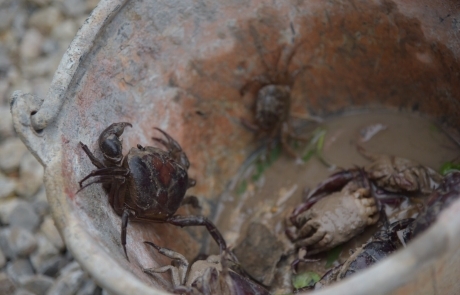 Or join me to Mae Salong Nai local market and pick what we need for dinner. 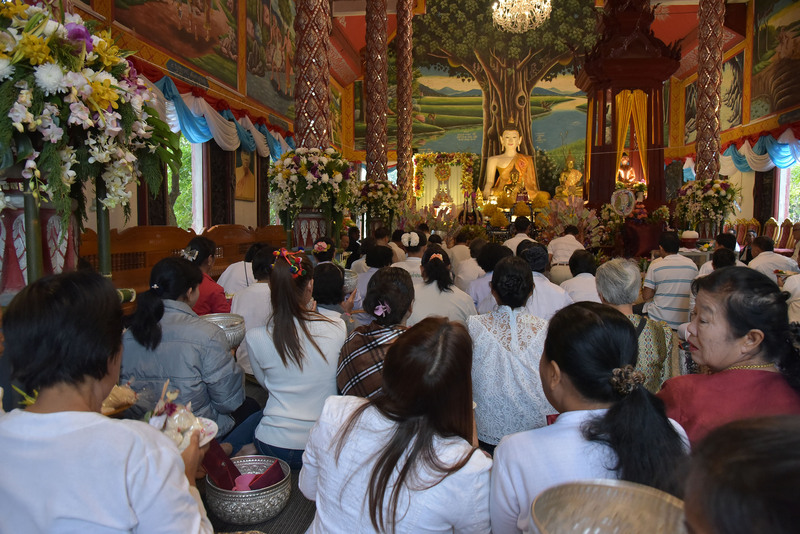 There is also a local temple. 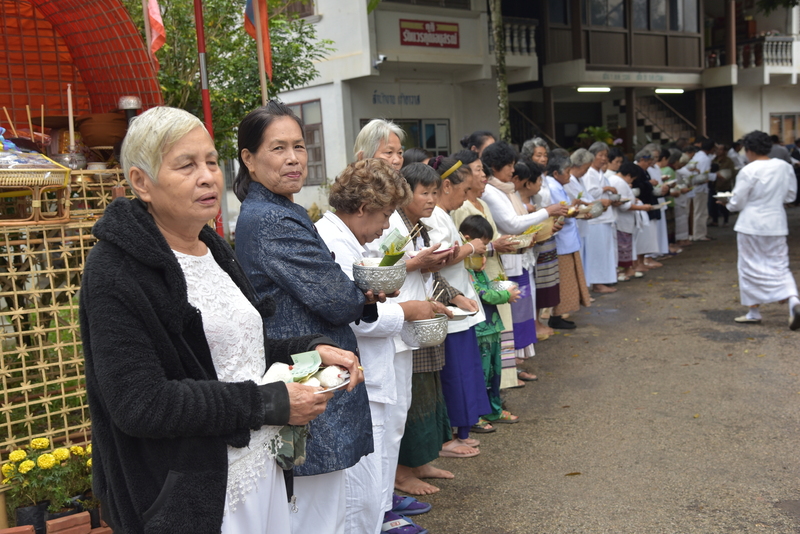 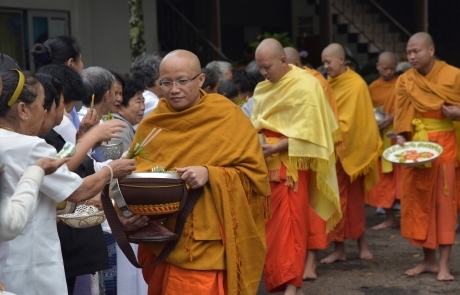 In the early morning, we bring offerings to the monks. 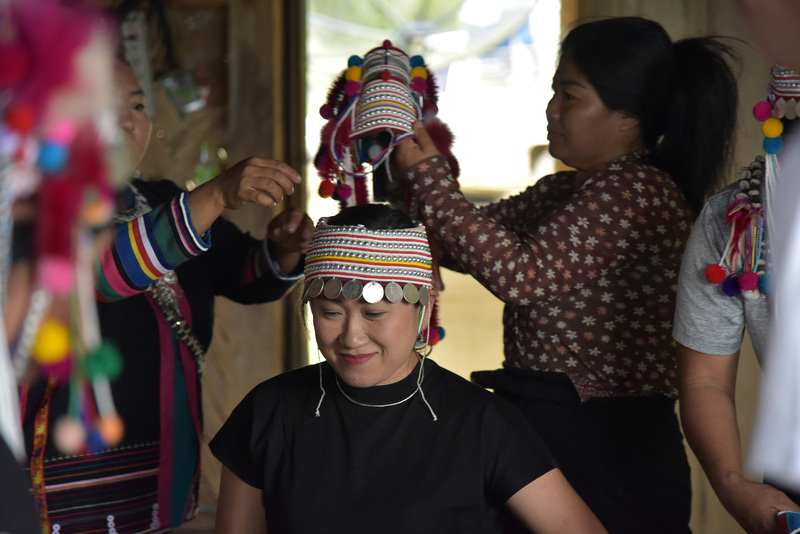 Our local expert Aong can lead you to Akha hill tribes village ‘Baan Pa Du’ by trekking across the jungle along a 2 Kms path. 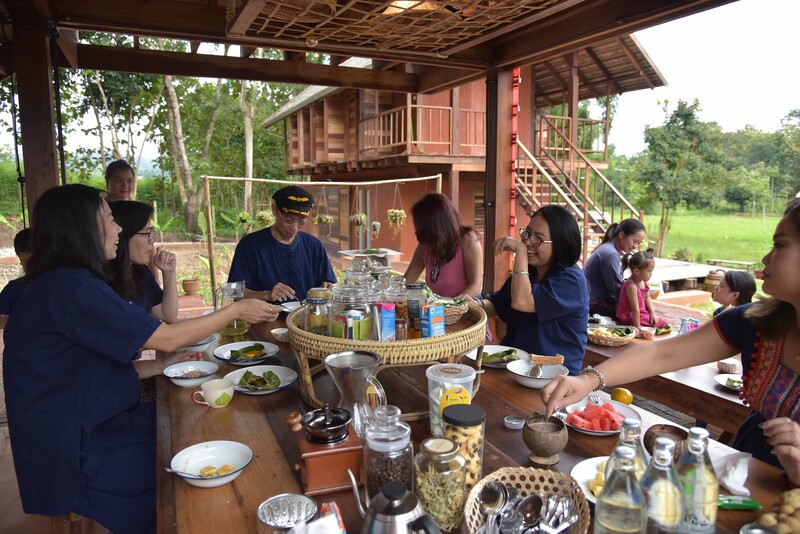 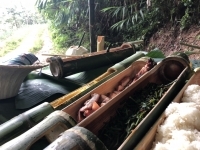 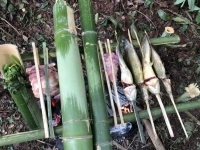 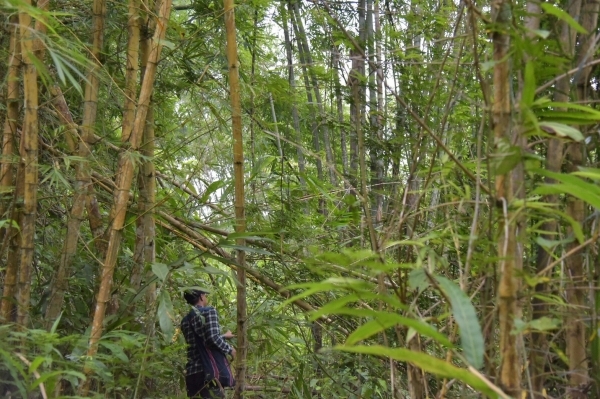 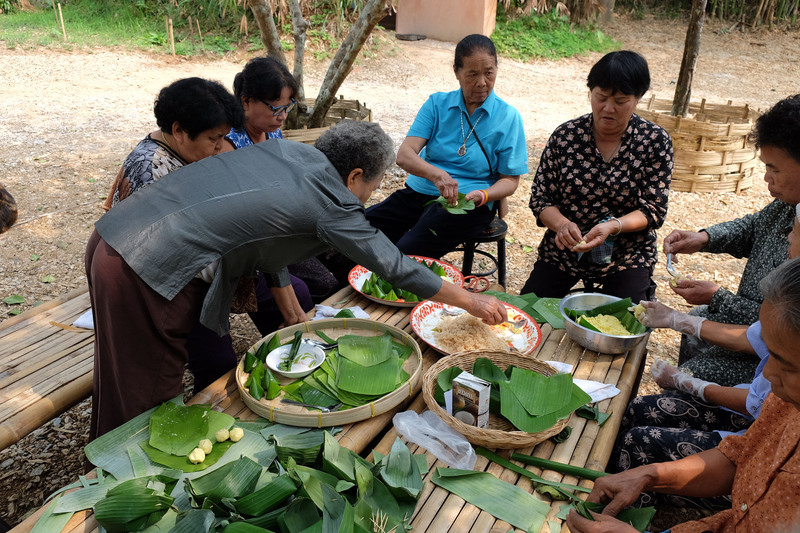 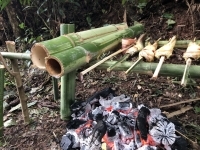 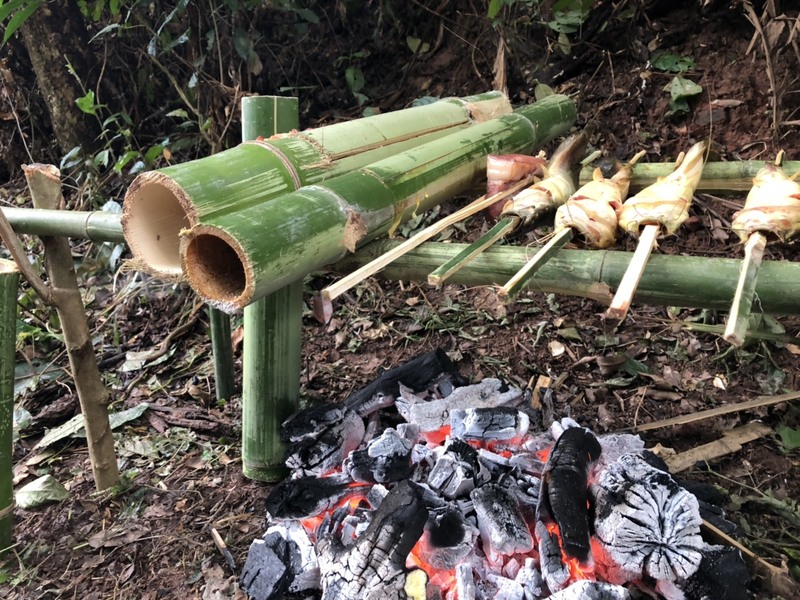 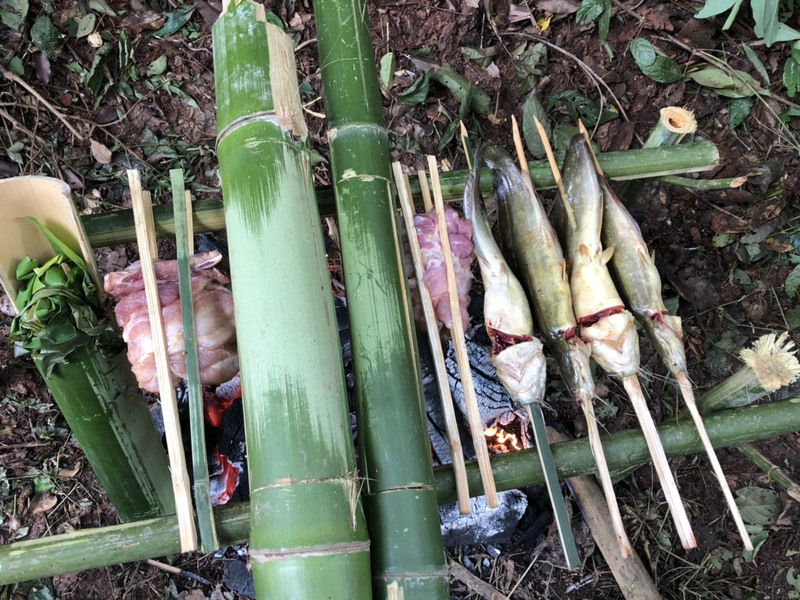 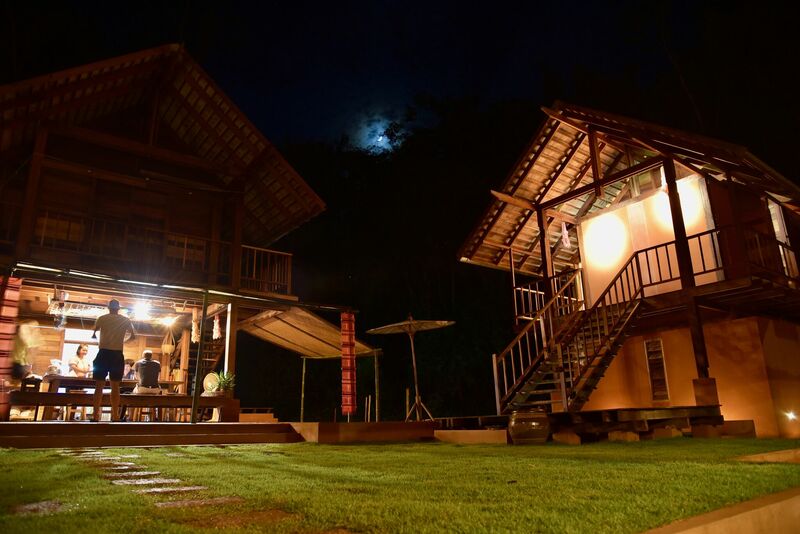 Stop by for a fish and meat barbecue with bamboo spits in the midst of the forest. 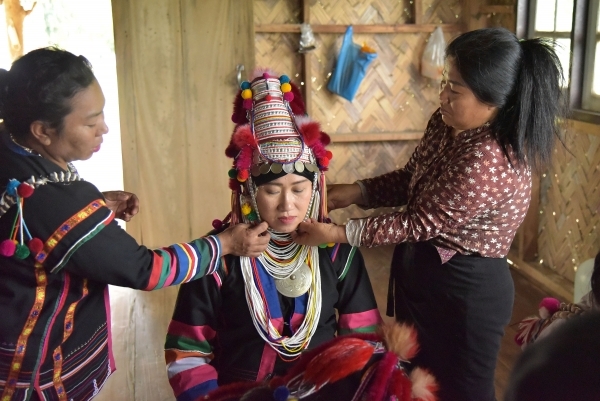 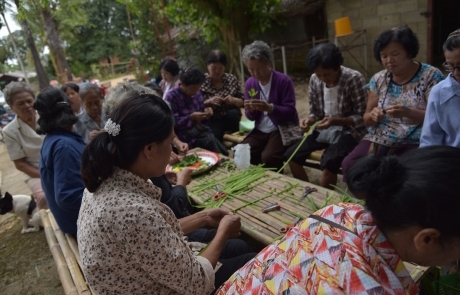 At the village, the elders still perform ancient rituals wearing their traditional uniforms. 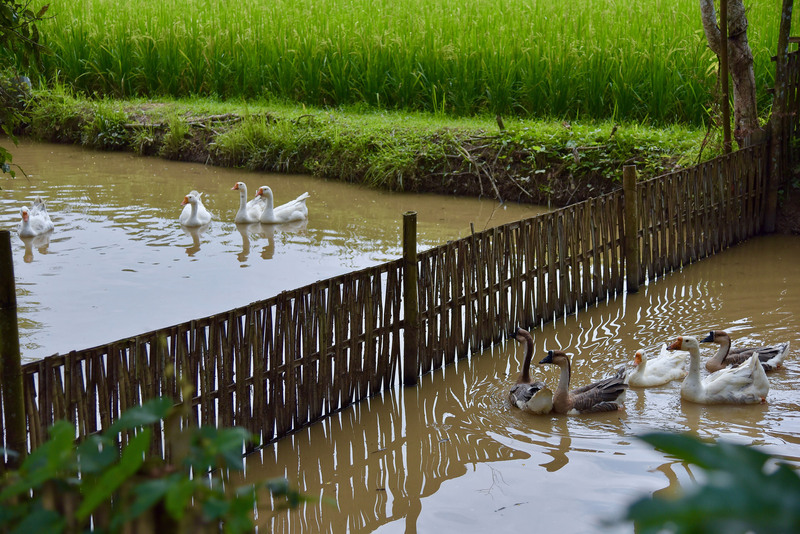 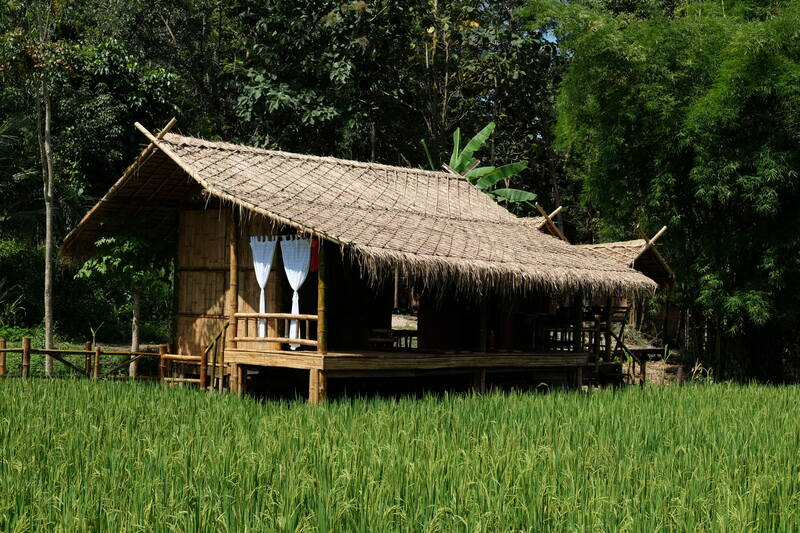 And this is our Spa surrounded by rice paddies. 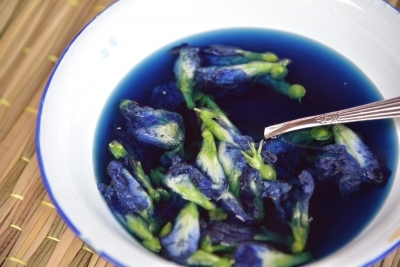 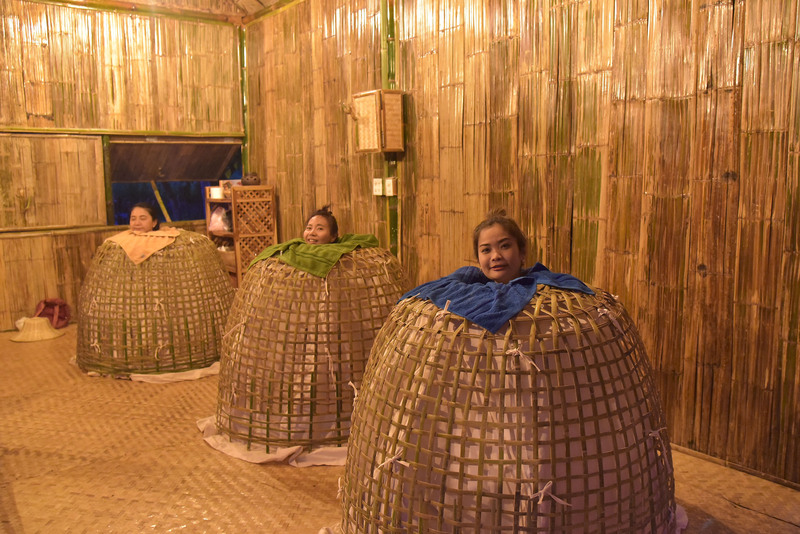 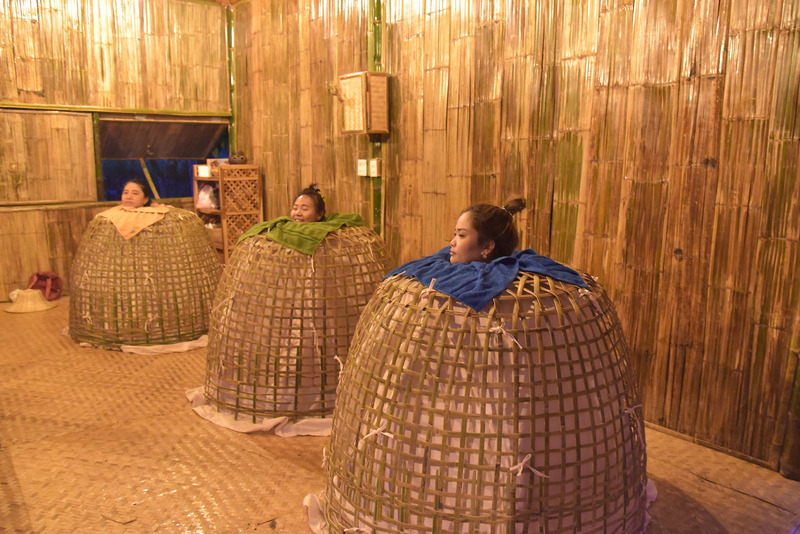 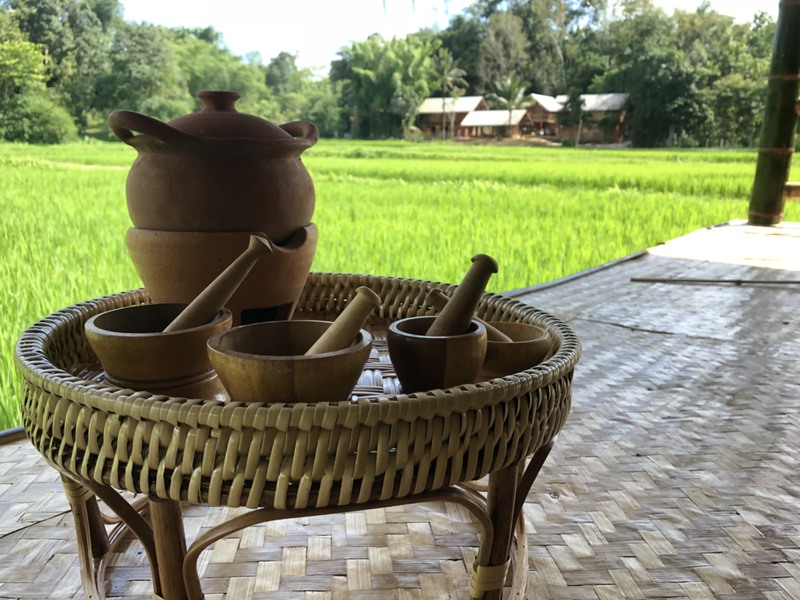 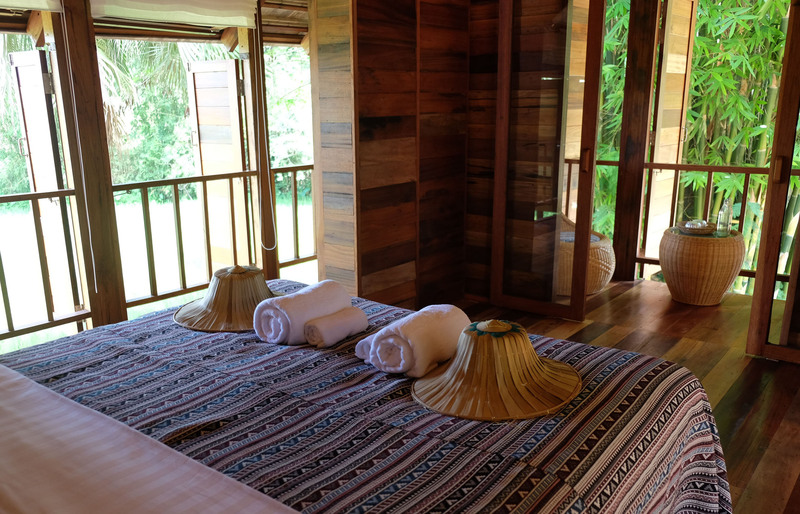 Enjoy Thai traditional massage or try our Ahsa style Herbal Sauna! what you can find exploring our region!